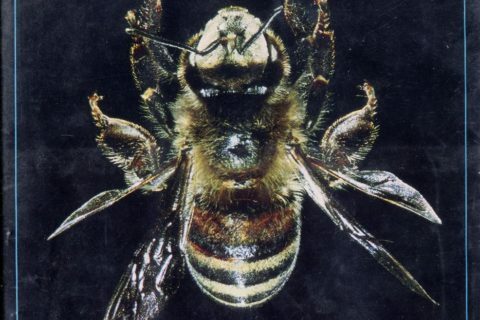 Submitter: I remember this craze about when the government started to warn people that these African bees made it to Brazil and were working their way up north and their affects would be devastating and even deadly. Talk about a crazed government warning…it never did happen, but was a big deal in the early 1990s. This was a children’s book I found in our Children’s section about the topic giving children an insight to the situation. Seems like it was quite a popular book since Worldcat shows almost every major library holding a copy. Holly: I remember the killer bee craze of the 90s as well. I’m allergic to bees, so I lived in fear of every little honey bee I saw. This was probably a good choice for a public or school library in 1990, but it could have been weeded by Y2K. We had other things to worry about by then anyway. Africanized honeybees do still cause problems for beekeepers in southern states, because they are more aggressive and produce less honey. But that concern has been eclipsed by concerns over colony collapse disorder (which we’re now reasonably sure has stabilized, but it’s still a bigger worry than killer bees). I was in 8th grade when this movie came out and we all watched it. bee complete with bandolero and antennae. Who can forget that? The 70s were the start of Killer Bee hysteria, and I remember the dire predictions of deadly swarms taking over America — so severe that no humans would be able to go outdoors. I would like to become a bee keeper some day, but it is too much for be to do now. So many books in the 90’s full of doom and gloom. But I never completely disbelieved them. When I was younger I had terrible anxiety and every little thing seemed to be a sign of the end. It still is, just differently now, but I manage to cope with it better … most days. Kudos to you (sincerely! ), because things seem pretty dire right now in the world. Laurence Pringle is a pretty prolific nature writer with a fascinating back catalogue. That said, even he weeded this book from his own site. I am a school librarian. I’m thinking this book may be on my shelf right now. Limited budgets keep me from weeding a lot but I think I’ll be weeding this one.